There has been a lot of “no-deposit” talk about here lately at Silver Oak Casino. The reason for this is simple: “no-deposit” is a hot subject right now! In fact, it will probably become the future of the online casino industry in 2013 and onward. It’s more than a trend; it’s an expectation at this point. If you are not totally familiar with the idea of how bonus casino codes work, you will be an expert by the end of this blog. Then, you can hop directly into a game of slots or some table game action without any risk of losing your own money because you will actually be using ours. Read on to find out how you can ride this gravy train. Some no-deposit codes for casinos have a window of opportunity. For example, sometimes you will see advertisements “casino bonus codes for 2013” where the code in question will only be valid for that year. The same thing can apply with months, days, or even hours. 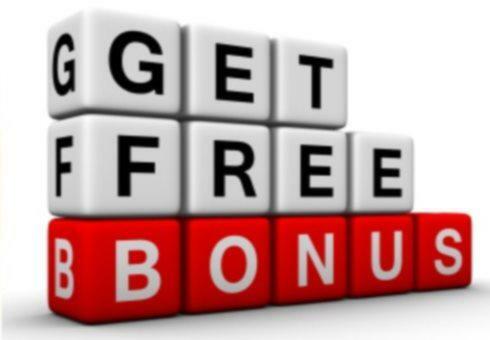 Be sure to check the expiration date of your casino bonus code just in case. Affiliates are websites that refer users to a certain casino. Often times effective or otherwise favorite casino affiliates will be offered casino bonus codes specifically for that affiliate. These “exclusive” no-deposit codes may not always work. They may have expired, the website you are trying to use might not be an affiliate any longer, or any number of things. When possible, it’s best to acquire casino bonus codes directly from the casino (‘s blog). Unlike the above affiliate issues, which are unintentional, there are also sites out there with information that is wrong, and done so intentionally. Silver Oak Casino has made extensive efforts to immediately block any such websites from directories and link groups associated with our casino, but not every website is as vigilant when it comes to customer safety, so we mention this for that reason. Silver Oak is an example of a USA online casino, which means that any bonus casino codes are going to be designed for use by Americans. Additionally, when it comes time to get your credit card approved (when you do decide to deposit), any US casino within the United States is going to see better credit card approve rates than any other type of casino. Even more to that point, when you choose a premium-level online casino like Silver Oak, your chances are even higher. Many casinos within the United States are perfectly acceptable for US players, but those same players will find they have the most luck when dealing with brands that have proved themselves on the market to become the trusted “big names” Silver Oak has emerged as one of the top casinos in the USA because of it’s track record of providing great pays and amazing customer support. Be sure that you actually have a no-deposit bonus casino code. It’s somewhat easy to get these mixed up, and they are the complete opposite of one another, so be cognizant that you are receiving a no-deposit bonus that will allow you to play without depositing any money, and not a deposit bonus, that will require you to deposit. The above is not to suggest that regular deposit bonuses are not something to be desired, as they can actually be way, way more profitable than the no-deposit bonus depending on how you decide to play. Be sure to check out all of our casino bonus codes and stack up as much winning as you can, before you even start playing to win. Online gaming has really never been so easy.